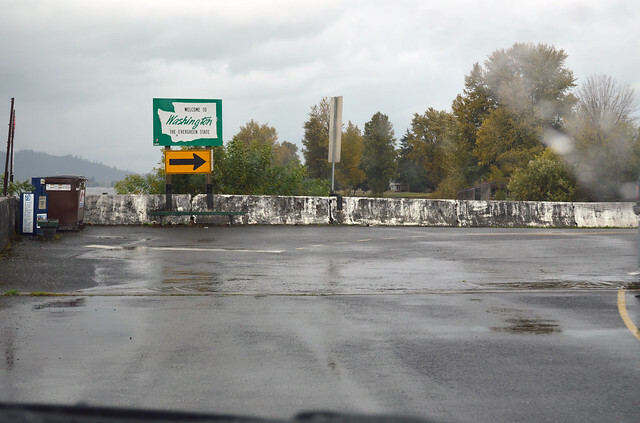 On Sunday, October 25, 2015, we drove Washington State Route 409 from the Columbia to Cathlamet. Even though it's a county-operated ferry and not part of the state route, we crossed the Columbia River on the ferry, Oscar B., to arrive here at the south edge of Puget Island. The European settlers of Puget Island built a levee around it so they could have nice farmland. The sloughs have pumps to get the water up to the river level. We drive through these farms and cross a bridge onto Little Island -- watch out for the stop sign! 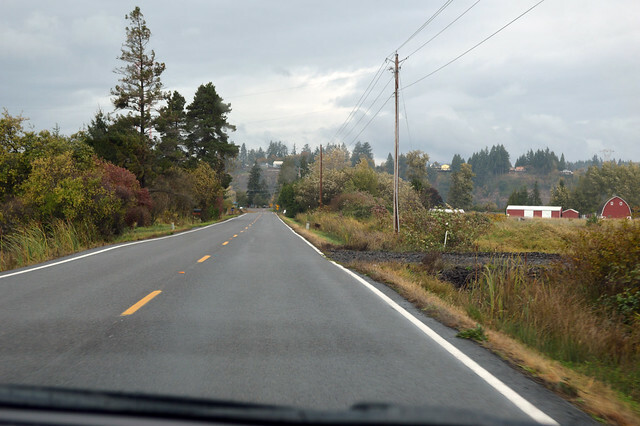 Here on Little Island, also surrounded by a levee, is the halfway point of SR 409, pictured above. 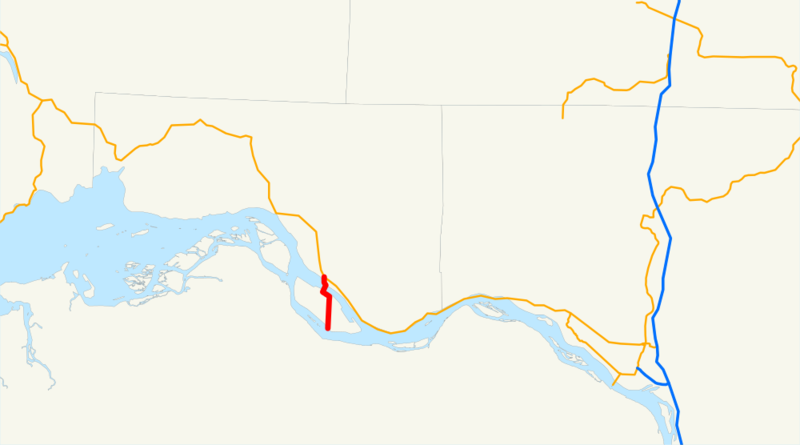 From Little Island, we curve up and over the Cathlamet Channel, the northern half of the Columbia River around Puget and Little Islands. 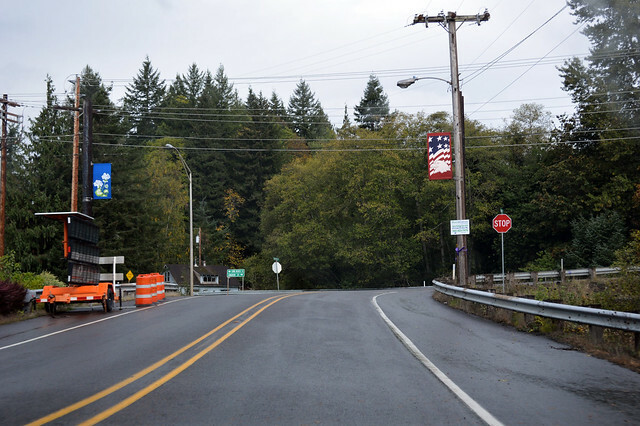 We then arrive at the old town of Cathlamet as SR 409 becomes Main Street. 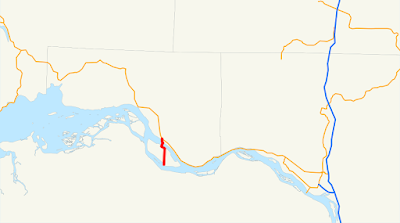 Cathlamet doesn't have many more inhabitants than when Lewis and Clark visited. The street is lined with brick buildings from halfway between now and then, so I guess that was the heyday. It's quiet on a Sunday afternoon. 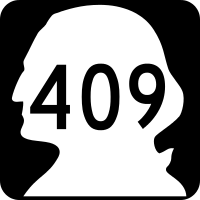 At the north end of town, SR 409 reaches its end at a junction with SR 4. Highway 409 is a nice, short drive through peaceful farmland, even with the rain falling down and the wind whipping whitecaps on the river.